Welcome to Loot's boxing betting strategy page! Here you'll find a collection of articles offering betting angles that will increase your odds of winning your bets. As with anything in life, the more educated/prepared you are, the higher the probability of beating it/winning! Enjoy! Getting Juicy Lines - Sure, we want to pick winners. Beyond that, we want to make sure we get a good shake from an odds standpoint when betting on boxing. When the odds we get on a bet don't match up with the actual probabilities of something happening, it stands to reason we will profit over the long-haul. 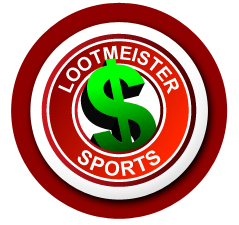 In this article, Loot offers some key pointers on how we can make sure we're getting the better of it when it comes to receiving good betting value. Check it out! Outside of the Ring Concerns - There are times in recent boxing history where we end up looking at the result of a fight and we can see that what was happening outside the ring was even more important than analyzing the fighters for what they do inside the ring. It shows us that looking at a fighters' strengths, weaknesses, and style is often times not enough to expertly bet on a fight. In this article, Loot shows us the different ways outside the ring concerns can affect the result of a fight, with tips on what to look for before wagering on a fight. Take a look! Analyzing a Layoff - We have seen the way we perceive a fighter's activity level change vastly over the years. Nowadays, a fighter coming off a break of six months or even a year is not considered to be at that much of a disadvantage. At the same time, we know better and that a fighter's case needs to be looked at individually. In this piece, Loot breaks down how we can use the element of ring activity to greater affect in our boxing wagering. Click here to read more! Good Boxing Wagering Practices - Are you struggling to show a profit in boxing wagering? There could be some fundamental issues to your betting outlook that need to be smoothed out. In this article, Loot breaks down some of the hallmarks of a successful boxing bettor's outlook. Click here to see if you're doing these things or if you're doing the opposite. It never hurts to remind ourselves what the pros are doing. Click here to read! Keeping Track of Your Observations - Information is power. We develop knowledge with every fight we watch, but when we need to call upon that information, we can't just trust our memories. If we want to be serious about boxing betting, we need a way to record our ideas. Then later, we can use those observations as a weapon. In this article, Loot breaks down the importance of recording our analysis, thoughts, and observations so we can use it against the bookie later. Click here to get the lowdown! Fighters Coming off Bad Losses - A loss in any other sport besides boxing is rather easy to process. But in boxing, a loss can possibly have far-reaching ramifications on a fighter for future appearances. A boxer coming off a bad loss needs to be dealt with differently, with many different considerations to make when entertaining a bet on such a fighter. In this article, Loot offers some valuable tips on how to deal with fighters coming off disheartening losses. Click here for more! Top Two Reasons Boxing Bets Lose - In this article, Loot breaks down a few of the more common mistakes people make when handicapping a fight. Check out what Loot has to say in this article and try to incorporate this advice into your boxing betting model and see your winning percentage increase. Click here! Avoiding the Letdown Spot - In this article, Loot helps break down a phenomennon that has cost bettors a lot of lost wagers over the years--the proverbial letdown spot. A fighter will often times win a huge fight andthen be in depreciated form for his next bout, a fight that is smaller in stature. Loot offers his guidance on how to spot these potential letdown spots in this piece. Click here! Recognizing Greatness Early - In this article, Loot explores the need that bettors have to identify great fighters before the public recognizes that greatness. Once the public embraces the concept that a fighter is really good or even great, the betting value disappears. By being ahead of the curve, we can extract some good value on a fighter before the cat is out of the bag. Click here for more!